Call us at (253) 858-4240 To continue providing the best services we can to our clients, as of July 1st, 2019, boarding prices will be increasing. The first dog will be $25, second dog will be $23, and cats will now become $17. There will still be an additional $2 charge for animals that are not spayed or neutered! If you are interested in boarding or grooming please print out our Boarding and Grooming Application and mail it to us with your animal’s current shot records. We have 28 indoor dog kennel runs, 20 that measure 15' x 4' and 8 that are 15' x 3'. Dogs are exercised several times a day and enjoy either a nice walk or a run in our field for no additional charge. Bedding and toys are provided due to the fact that personal items cannot be returned to you after your animals stay. Currently we have 7 cat kennels measuring 5' x 2.5' x 2'. These kennels are separated into two sections to keep food and litter boxes separated. During the day cats are given the opportunity to roam around the cat room. There are several cat posts to play on and places to lounge. Due to the level of care needed with geriatric pets, we do not accept new clients with dogs over 10 years old for boarding. We apologize for any inconvenience this may cause. Please do not bring your dogs personal bedding or feeding items as we cannot get them back to you! This also includes any extra food — please only bring enough for the stay! If we do not have your shots on file or you fail to bring them at the time of boarding your animal will not be accepted for boarding. NO EXCEPTIONS!!! Medications must be brought into the prison in their original containers. Please bring only enough for the animal’s stay. However, we can return ear or eye drops, creams, and special shampoos. *Please be aware that between 1:45–2:15 pm, the prison staff is undergoing “shift change” and your wait time may be longer. For drop off and pick up on Saturdays we need to have an approximate time you will arrive. Please remember there is NO drop off or pick up on Sunday or Holidays! Please be a responsible dog owner and remember your bag for cleaning up messes! Grooming services can be provided to your pet before their departure for an additional charge. Please speak with our kennel workers at the time of drop off to arrange this. Animals can also be brought in for “day grooms” during the week. Please call our office to make an appointment. If you are interested in a tour of our boarding and grooming facilities, please email us at info@prisonpetpartnership.org. You will be provided with the date and time of the upcoming tour. Because we are located within a prison, a background check must be completed on all persons entering the facility. This information will be gathered when you contact the program. We look forward to seeing you and your pets soon! Prison Pet Partnership can provide obedience dog training as an optional add-on service while your dog is boarding with us. Dogs that are participating in our Board & Train program will be scheduled to spend at least an hour a day working one-on-one with one of our highly skilled trainers. The supplemental Board & Train application and Expectations Contract can be found in the Boarding & Grooming Application. Please return these documents to our office, if you would like to add this service to your dog’s stay. What Will We Teach Your Pet? Our program will help your dog learn basic obedience skills, such as walking nicely on a leash, Sit, Down, Stay, Leave It and coming when called. Unfortunately, at this time, we are not able to work with dogs who need help with challenging behaviors, such as fear, anxiety or reactivity towards people or other animals. If you have any questions about whether your dog may benefit from our Board & Train service, please call our office at (253) 858-4240 and ask to speak with our Training Clerk. The Board & Train program is an optional additional service with a fee of $40 per day. This is in addition to your boarding costs. We request a minimum of a 7-day stay for your first boarding appointment. You will pay for 6 days of training and the 7th day will be at no charge. 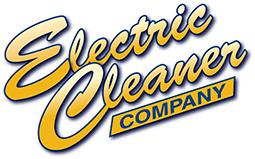 Prison Pet Partnership would like to extend a big THANK YOU to the Electric Cleaner Company for their generous donation of a k9 dryer to our grooming program!